This dish makes wonderful use of more of my two-hour slow-cooked eggplant tomato sauce (see my recent post for the sauce recipe). This sauce is as versatile as plain tomato sauce, but so much more complex–the eggplant melts into the tomato sauce, leaving a deep, sweet-smokey undertone (not unlike chipotle peppers). In my prior eggplant-sauce post, I dressed whole-wheat spaghetti with the sauce and added chicken sausage. 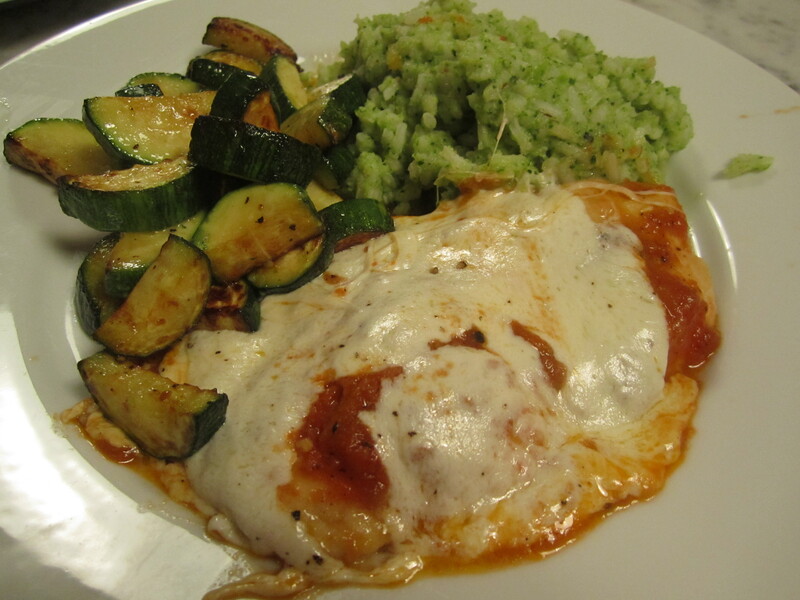 Tonight, I’m using chicken breasts, which lend themselves to almost any kind of sauce–neutral and clean. The melted mozzarella is a wonderful, luxurious topping for the whole dish. 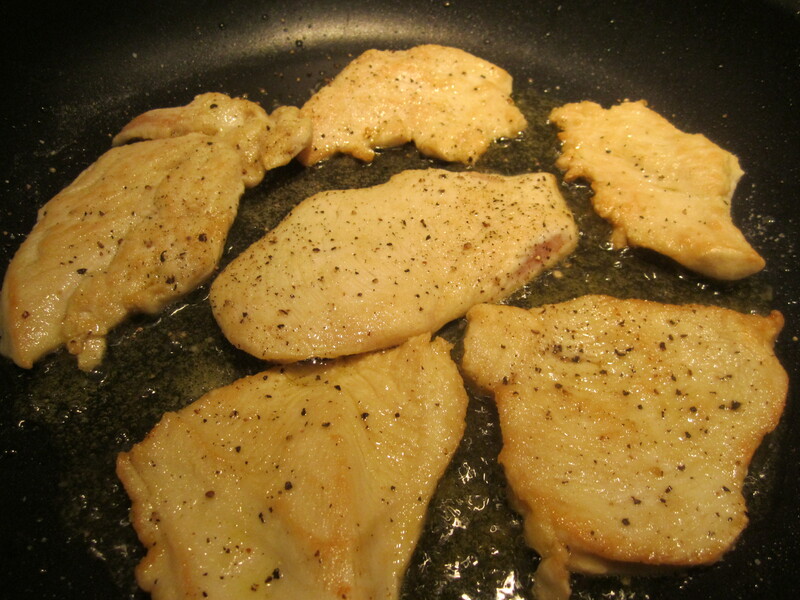 The breasts are lightly dredged in “Wondra” flour then briefly sauteed in olive oil until very lightly golden. 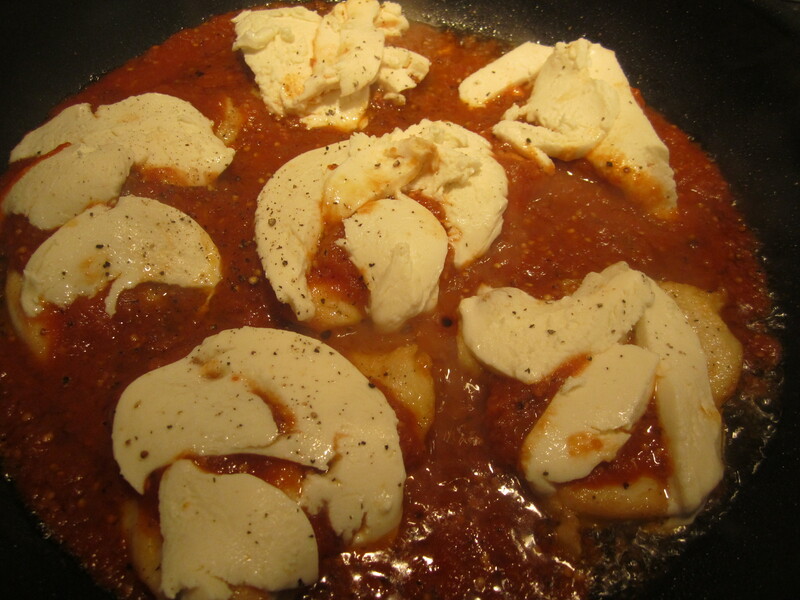 Then the sauce is added to the skillet and sliced mozzarella is laid onto the chicken breasts and gently allowed to melt under a lid. 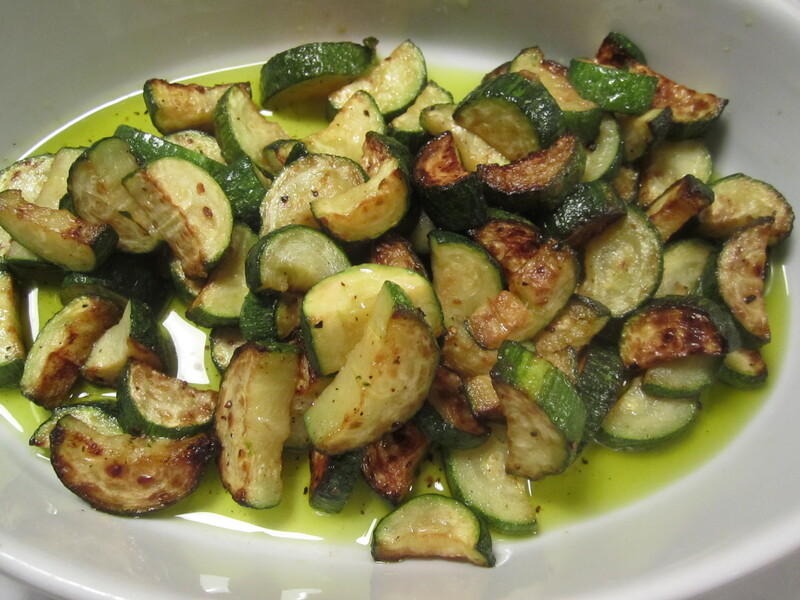 To accompany, I’ve made some plain sauteed zucchini in olive oil with salt and pepper–also a great neutral vegetable which goes well with tomato sauce. Heat olive oil in a broad nonstick skillet. Lightly dredge the chicken cutlets in flour, then gently slip into hot oil. Turn down heat and lightly brown the chicken breasts for only a minute or two. Add the eggplant sauce into the skillet and bring to simmer. 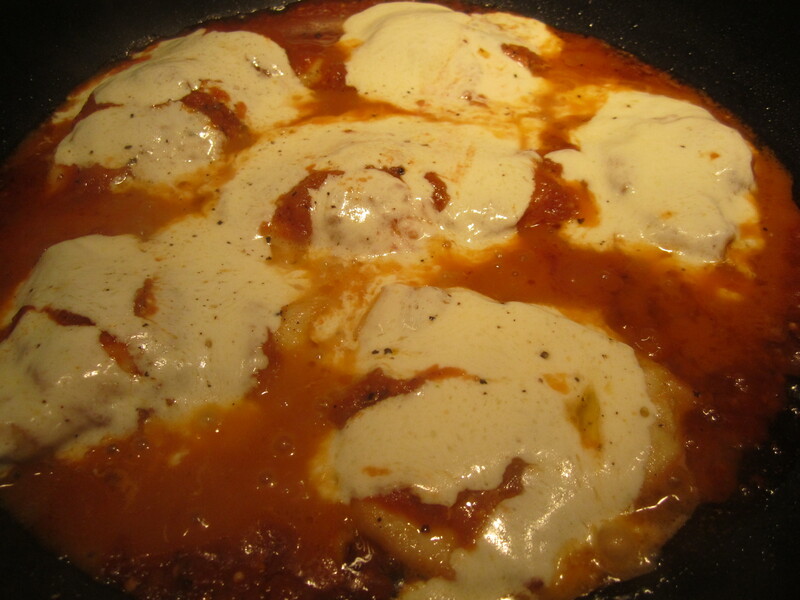 Top the chicken cutlets with overlapping slices of mozzarella. Cover and simmer on low heat for about five minutes.